When police rescue five-year-old Jenna Thompson from the dark closet where she's been held captive for days, they tell her she's a lucky girl. Compared to the rest of her family, it's true. But even with their killer dead of an overdose, Jenna is still trying to find peace twenty-five years later. On leave from her forensic artist job, Jenna returns to Nashville, the city where she lost so much. Instead of closure, she finds a new horror. Detective Rick Morgan needs Jenna's expertise in identifying the skeletal remains of a young child. The case jogs hazy half-buried memories--and a nagging dread that Jenna's ordeal hasn't ended. Now other women are dying. And as the links between these brutal killings and Jenna's past becomes clear, she knows this time, a madman will leave no survivors. 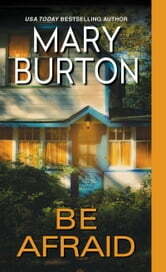 . .
another excellent story by Mary Burton. VERY HARD toput down once you read page one. A real page turner that keeps you guessing. I can not wait for her next book to be released. This is the 3rd book in the series and although it wasn't horrible, I found it a bit confusing. The ending as well left much to be desired. Great story but in the end left a missing piece..what happened to baby Heather. I feel they should of closed that cheapest of the story too. Kinda feel they forgot about her. I did enjoy this book , well written to the point you could feel everything that was happening to Jenna . I had no idea who the bad guy was and was shocked at the outcome . Great ending I loved Rick and his family too Mary Burton made everyone so real .